I’m 75% finished with my latest novel and I can’t stop dreaming about it. It’s keeping me up. I hope that’s a good thing. I’ve never had this happen before. Have any of you? My novel is something very far from my comfort zone. For a large section of the story, my characters time travel (in an odd way) to Victorian London where they hunt Jack the Ripper. They have their reasons and the clock is ticking. Whenever I add paranormal elements to any of my stories, I want the premise to almost seem plausible. You know how most people get scared when sitting around a campfire, telling ghost stories? That’s the visceral feeling I hope readers will get when they come along for a ride to the streets of White Chapel 1888. I not only had to research the many resources on the Jack the Ripper case and take a view on what I think might’ve happened for the sake of my plot, I also had to research the time period to recreate a setting that will come alive on the page. In 1888, London was not the progressive modern city it is today. This was before proper sanitation, plumbing, and before police investigative methods were improved. Tenement slum houses held large families of immigrants contained in small rooms rented by the day. Disease ran rampant with poor options for drinking water. Within close proximity to these slums lived wealthier Londoners who attended the opera and dined in fine restaurants. A newspaper called The Star had started in 1888, the year Jack had been born to evil. It had originally provided a voice for the common folk on injustice, but anything on the White Chapel murders turned a profit for the newspaper and became the driving story of the day. A challenge has been to add enough details for history buffs yet recreate this world for readers who might be more interested in the peril of the characters. There’s always a balance and a consideration for good pacing. My story is seen through the eyes of a young woman in present day who is desperate to find justice for a murdered friend in New Orleans. She’s obsessed with the Ripper case because she thinks it is related to the death of her friend. She steals a vintage necklace off a body and brings it to a mysterious yet reclusive psychic, only to find that she is correct that the jewelry is linked to her friend’s investigation. When held in his hand, the necklace catapults the psychic to two horrific murders. The vintage piece is the key to locating Jack the Ripper on the night he kills his 5th victim, Mary Kelly. I can’t give too much away, but I hope you’ll see the many moving parts of this story. In order to recreate time travel, the hunters (led by the psychic) must be willing to suspend their bodies in a near death coma. Similar to how dreams work, a willing mind can share the common existence of a shared dream. My twin sisters often shared the same dreams. For most that would be scary, but it was normal for them. It’s been said that if you dream of your own death, you die in the dream. How many of you believe that is possible? Does it make you think twice before imagining it? While my characters hunt the Ripper in spirit form, they are invisible to everyone except their one spirit guide (someone from 1888 that they must find in order to remain tethered to their world). As you can imagine, there are challenges to not having a physical body, yet they must be presentable in period clothing to the one guide (their citizen of heaven) who is capable of seeing the traveler. Another challenge was to create believable dialogue during the time travel segment. What my modern woman hears from the people she meets must sound authentic. That involved a lot of historical research as well. It helped that my narrator was a modern young woman. For most of the historical part of the plot, her voice dominated, but I made sure she overheard the locals to make sure the color would be there. But things are not what they seem in the netherworld between life and death. Evil and Fate combine to change history in ways my team of hunters will never foresee. Their worst fears are exposed and they must face their worst nightmares. As a writer, it’s my job to make my characters pay for the daring things they do to become a star in their story. Thinking through all the ramifications of affecting history or interfering with fate–while doing it in a way to create mysterious twists in the plot–has been another fun challenge. Every time I think I know where the story is going, it changes course again, in a good way. I’ve surprised myself in ways I couldn’t have foreseen. The plot had to develop and the characters’ dilemmas had to rise to the top in order for me to see different outcomes and motivations. I’ve added layers to my story that I never would’ve seen coming. That’s a good feeling. This is the first book in a new Trinity LeDoux series for me. The working title is – The Curse She Wore. Trinity is a 24-year-old wannabe bounty hunter, trying to get her license in New Orleans. At the start of the story she is homeless, but everything changes after my hermit psychic sees something brave yet vulnerable in her. The first time I visited New Orleans, I sensed the layers of richness to the setting and understood why so many writers find the location completely captivating. 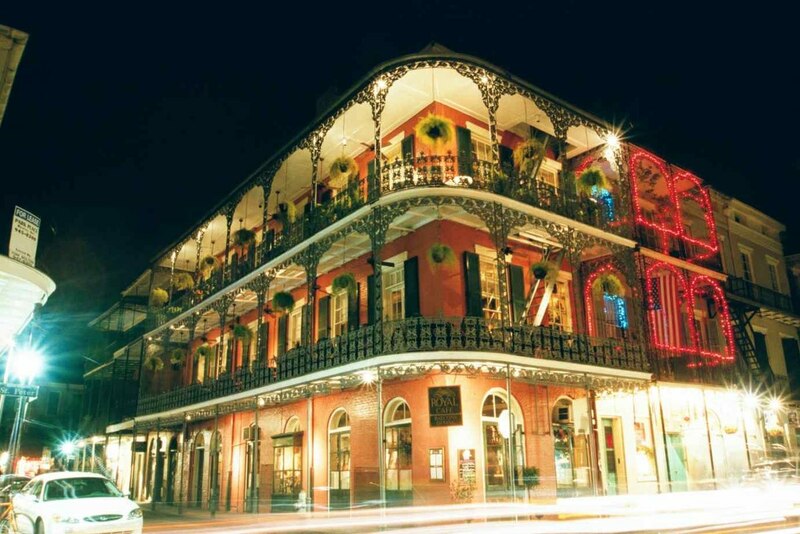 I’ve waited to write a story set in New Orleans. This is it. I’m bringing in a Cuban influence, the Santeria faith (used for the concept of an ancestral spirit guide or citizen of heaven), a discreet Voo Doo shop for true believers, and a reclusive psychic from an old wealthy family who lives on an historic plantation. He’s got secrets of his own. 1.) Tell me about the challenges of your current WIP. Anything interesting to research? 2.) Have you ever worked in the details of a real murder into your work of fiction? How did that work for you? If you’re on Instagram, please find and follow me at this LINK.